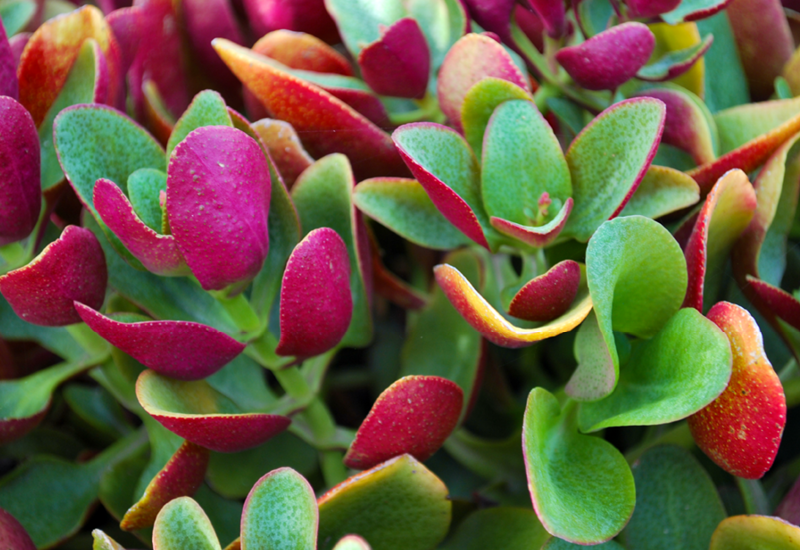 Crassula Purple Dragon has large, glossy, purple leaves with magenta edges and undersides. Looking great in a medium pot, or simply tucked in your garden as a splash of purple. Delicate pale pink flowers appear during spring as a pleasant surprise.